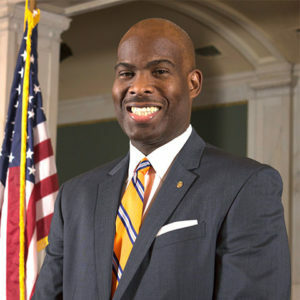 On May 19th, Councilman Derek S. Green, Esquire won the Democratic primary for City Council At-Large in Philadelphia by receiving over 68,000 votes which was the highest number of votes cast in the election, and on November 4th, he was elected as a member of the City Council of Philadelphia. Metro Philadelphia selected him as one of 6 new young political leaders, and the Philadelphia Daily News named him one of the 10 under 40 rising political stars. Before becoming an attorney, Councilman Green was a consumer and small business lender for Meridian Bank. He also served in a leadership capacity in a number of civic and professional organizations including President of the Center in the Park, Inc. and East Mount Airy Neighbors, Inc. (“EMAN”), First Vice President of the Germantown YMCA, Vice President of Young America Political Action Committee, Co-Vice Chair of the PA Bar Assoc.’s Legal Services to the Public Committee. Further, he served as a Board Director for the Green Tree School, Mt. Airy USA, Urban League of Philadelphia, West Oak Lane Charter School, West Philadelphia YMCA, and served as pro bono counsel for the Family Life Centers of Canaan Baptist Church and Salem Baptist Church of Jenkintown.